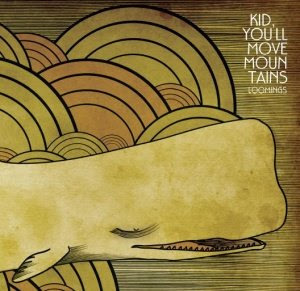 - Kid, You'll Move Mountains (CD release show) at Metro - Featuring former members of Troubled Hubble and Inspector Owl, Kid, You'll Move Mountains is one of the latest notable indie rock acts to come out of Chicago. This show will celebrate the release of their debut CD, "Loomings." Check out this week's Indiesomnia podcast for an interview with the band's Jim Hanke and to print out a flyer that will get you into the show free! Also with The Sapiens, Pool of Frogs and Picture Books. Doors 8 p.m., show 9 p.m., $8, 18 and over. More info and tickets. - Pet Lions, Blah Blah Blah, Caw! Caw! and Hollows at Subterranean - I recently touted indie pop group Pet Lions as one Chicago's best up and coming bands to watch. Their instantly memorable, highly catchy tunes are worth catching live, and with fellow locals Blah Blah Blah, Caw! Caw! (EP reviewed here) and Hollows also on the bill, tonight's show is bound to be great. Doors 9 p.m., show 9:30 p.m., $6, 21 and over. More info and tickets. - Mannequin Men, The Living Blue and Team Band at Schubas - If you're in the mood for something loud, fast and gritty, these three local bands can help. 10 p.m., $10, 21 and over. More info and tickets. - The Singleman Affair, David Singer & the Sweet Science and Tim Kinsella at Hideout - Local folk rock. 9 p.m., $8, 21 and over. More info and tickets. - "A Heavy New Year Fest" at Reggie's featuring The Satire, In Case of Capture, Slaughter the Weak, Armageddon After Party, A Summit Above and Stomoxys Calcitrans - A new year's celebration no metalhead should miss. 5 p.m., $5, all ages. More info and tickets.